Fighting against relegation 1.FC Köln have made a remarkable signing landing highly touted Vincent Koziello, valued €11 million according to transfermarkt.de, in a deal worth just €3 million. Coming from OGC Nice Koziello has recently worked together with former Hertha and Gladbach’s head coach Lucien Favre. As a Nice player Koziello arrives from a club that has recently made headlines in world football thanks to a fantastic academy and the ability to resurrect players careers. Since achieving the promotion back to the Ligue 1 at the end of the season 2001-2002, OGC Nice has managed to establish itself as a mid-table club for the most of the decade. Although Nice has had some success in France winning four Ligue 1 titles and two French Cups back in the 1950s their last success was their third French Cup, which they won in 1997 when they beat EA Guingamp on penalties. It was only when the ambitious president Jean-Pierre Rivère, a French businessman that made an initial investment of €11 million to become the majority shareholder back in 2011 that the game changed for Les Aiglons. The move from the traditional Stade du Ray to the newly build Allianz Riviera was made two years after and in 2016, Rivère sold 80% of the club to a group of investors led by Alex Zheng and Chien Lee while remaining president with a 20% share in the club. It was during the period that Rivère managed to bring in some high profile players such as Hatem Ben Arfa in 2015 or Balotelli in 2016 that have enjoyed success and redeveloped their careers. Reducing Les Aiglons only to a club that signs high profile players in a difficult moment in their career is diminishing the work of the OGC Nice academy and their scouting network, however. Jean-Michel Seri is an excellent example of a player developed in Nice. He was signed in 2015 from Paços de Ferreira for €1 million and is now is worth 25 times that price. Amongst the academy of Nice alumni, we can name Hugo Lloris and Patrice Evra that came through the ranks of the team that have had international success for their respective clubs. One of these academy prospects is Vincent Koziello who was linked with a move to Italian giants AC Milan in 2016 after becoming a prominent member of the first team. Instead of AC Milan, however, Vincent Koziello, yet, will be fighting against Bundesliga relegation with his new club 1.FC Köln. The main reason for Koziello’s availability has been the fact that he has lost his place in Lucien Favre’s first eleven, the Frenchman has played more than 80 league games with a total of more than 100 appearances for Les Aiglons since breaking into the first team. But his playing time has been reduced this year. 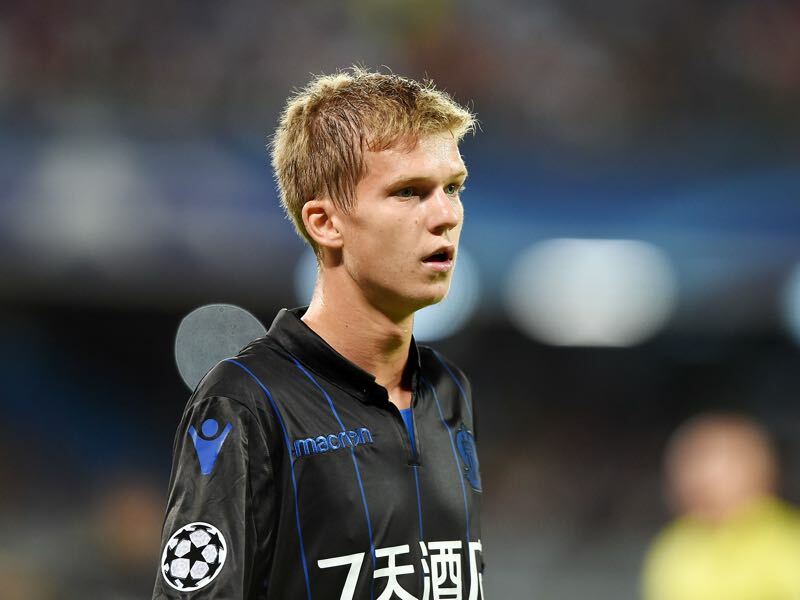 Koziello has admitted in the past that with his physique, he might not have made it in another club and that the fact that Nice decided to focus on his capability to adapt to their game philosophy that is concentrated on possession and passing. At the time of his debut for Les Aiglons, Koziello teammates in the midfield were Nampalys Mendy and Seri—both are relatively small with a height of 168 cm and 165 cm respectively. At the time the size of the players was secondary to their technical and passing ability. For his first season in Ligue 1 as a first team starter, Koziello was a contender for the title of best prospect for the 2015-2016 season, which was eventually won by Ousmane Dembélé, who now plays his trade for Barcelona. In the first season with Lucien Favre, Koziello managed to keep his spot in the line-up and was still an essential member of the squad that achieved the qualification for the Champions League qualifiers at the end of the 2016-2017 season. As mentioned above his playing time dropped this season, however. Unsatisfied with his playing time—he only started on ten occasions for Nice—Koziello expressed his wish to move to a new club. The substantial interest of Armin Veh and the prospect of improving his playing time have convinced the Grasse born player to make a move to the Bundesliga. As Lucien Favre stated in the press conference before the derby against AS Monaco, Koziello will not be replaced by a new transfer as Nice has enough depth in the squad after the players transfer to Köln. Koziello will join a team that is fighting for its survival this season after having to achieve an impressive fifth place last season. For Köln, the signing Koziello is a major coup. The midfielder was once considered one of the brightest prospects in the European game. But the lack of playing time meant that Armin Veh was able to sign the midfielder, who should be able to bring in much-needed structure to a Köln midfield that has been in disarray at times this season. The Futbolgrad Network has been on location in Köln for a few games this season and while many observers point at Anthony Modeste’s departure as the main reason for the Billy Goats’ demise this year. Köln fans also are adamant that Jhon Cordoba, who was brought in to replace Modeste, is not adequate to replace Modeste. Watching the game from the stands though it is hard to blame the newly signed Colombian forward entirely. It is true that the two forwards play very differently with Modeste often dropping deeper to collect the ball almost acting like a number 10 at times. Cordoba does not have that skill, but Köln’s scouting department should have been aware of the issue and brought in an extra player, who can aid Cordoba, or any other striker, as a playmaker. Koziello is that player and with the price of just €3 million an absolute steal for the Billy Goats. Even more remarkable is the fact that Koziello has been willing to move to a club that in all likelihood will be relegated at the end of the season making a deliberate step backwards to advance his career in the long term.